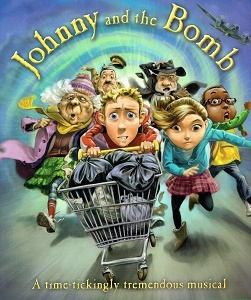 When young Johnny Maxwell and his friends Kirsty, Wobbler, Bigmac and Yo-less are transported back in time to 1941 (by a time-travelling shopping trolley), they find themselves in the thick of World War II. Can they save their street from a catastrophe which they know is just around the corner? Who is the mysterious Sir John, and why does he employ ‘Men in Black’? And will they all get safely back to the present?